If the naturally aspirated ZX10R wasn’t enough for you and for Tom Sykes, then imagine how ludicrous a supercharged version would be? 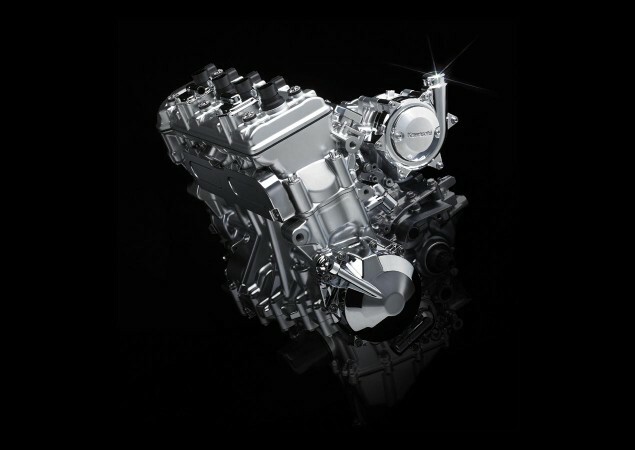 Kawasaki have unveiled an inline four supercharged motor recently. With ever increasing emissions regulations and fuel efficiency standards, one has to say that it is only a matter when turbos, and supercharges enter the motorcycle world, not if. Kawasaki Heavy Industries, Ltd. also has a long history of developing technologies for turbine engines. The lifeblood of these turbines is their blades, which need to be able to cope with extreme heat and vibration while spinning at high speeds. Know-how from years of designing turbine engine blades was instilled in the first supercharger developed by a motorcycle manufacturer. And of course, designing a motorcycle-use supercharged engine in-house means that maximum efficiency could be pursued.